Noisily’s boutique camping area has evolved over the years from a handful of yurts, to the veritable village of structures that take pride of place at the top of the camping field. With a view that stretched out some ten miles to the south across the rolling hills of Leicestershire, and just a stone’s throw from our Mind Body Soul healing area and the festival entrance, this is prime camping real estate at its very best. Our two trusted suppliers are back in 2019 with structures of all shapes and sizes. Handcrafter Mongolian yurts made in Essex, erected natiowide. Al & Phil have been with us since year one, providing beautiful yurts of varying sizes with an extensive interiors list. 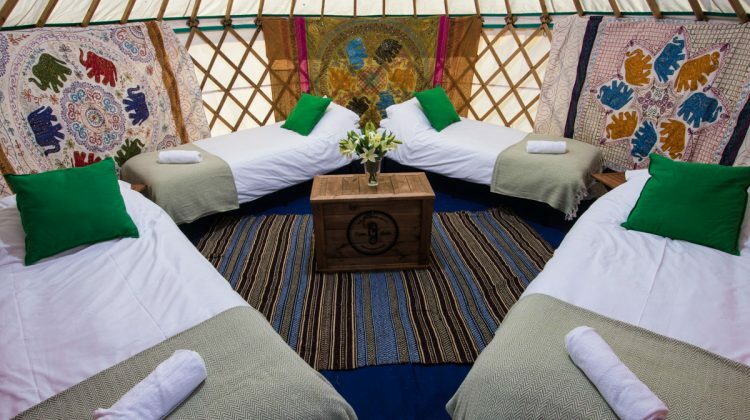 So whether you’re looking for basic accommodation and a roof over your heads, or a no holes barred luxury yurt complete with hardwood beds, mattresses, electricity and all the accoutrements, there are the guys for you. The baby of Noisily co-founder Charles’ sister, Portobello Tents are the byword in luxury, providing the very best in boutique accommodation across the UK and Europe, and closer to home in Coney Woods. 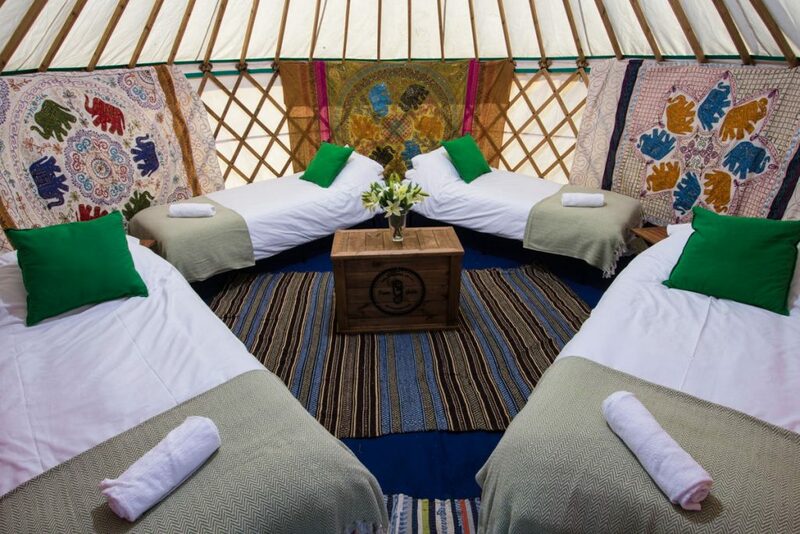 From bronze bell tents and Lotus Belle V.I.P’s, to their monumental Lotus Mahal, Portobello promise the best night’s sleep at a festival you’ve ever had, with exemplary service to boot. For those of you who don’t want to fork out for the high end, but also can’t face the faff of pitching your own tent, look no further than Tangerine Fields. 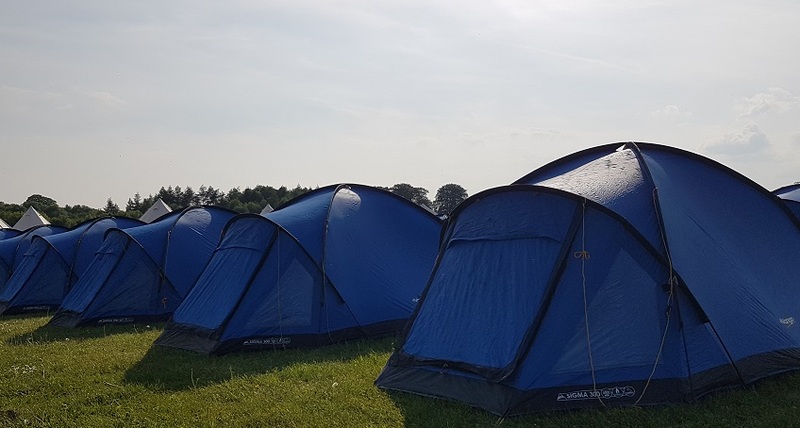 Bright, airy and affordable, Tangerine Fields range of tents house couples, families and groups of up to 8 people with plenty of room spare to store all your weekend essentials. Better still, we’ll ensure you’re pitched with your friends no matter how big your group or how late they arrive. Let Tangerine Fields take the all hassle out of your weekend so all you have to do is turn up, move in and enjoy the festival. Visit Tangerine Fields for more information and bookings.